Every month Kickstarterprovides a number of new innovative and high-quality products from designers all around the world. 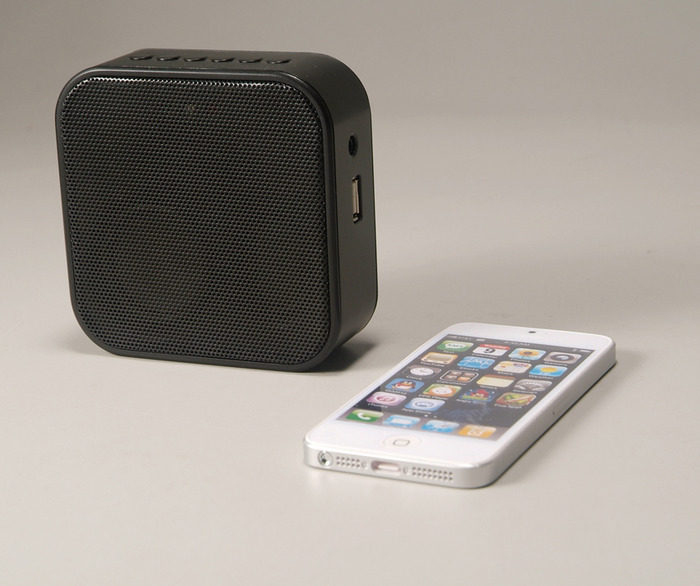 This month we’re showcasing PLUG – a highly affordable and ultra-portable bluetooth speaker and FM radio. While smartphones and tablets have continued to rise in portability, size and weight constraints limit their usefulness as portable music players. These devices simply can’t provide the volume or sound quality needed for entertaining guests, a backyard BBQ or an afternoon at the beach. PLUG is the brain-child of Chris Thiele, working in conjunction with agent C agency in Germany. PLUG is an all-purpose portable speaker, designed to work with mains-power via its traditional power ‘plug’ on the rear of the device, or via its internal 800 mAh rechargeable lithium-ion battery that provides up to 8 hours of service. The PLUG weighs 8 ounces and measures 10 x 10 cm, making it super-light and easy to fit in your back-pack or handbag. You can play your own music anywhere on-the-go via Bluetooth, or tune in to your local radio station or broadcaster for sports and music. The PLUG has an attractive aluminium grill on the front and soft-rubberised control buttons along the top of the device. The PLUG also features a USB port so you can charge your other gadgets whilst playing music as well as a 3.5mm AUX-in port. 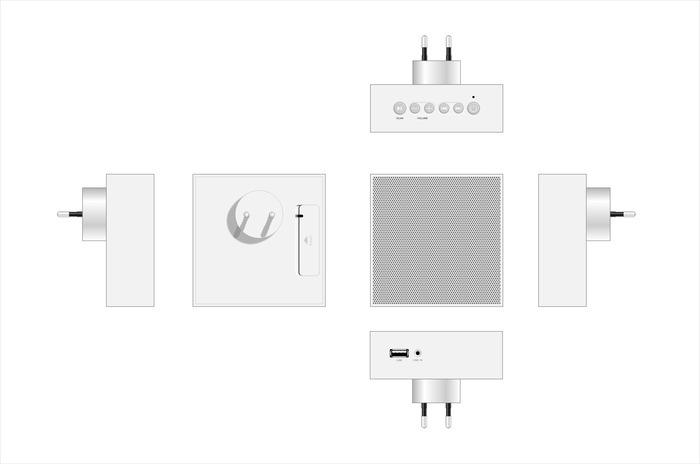 As the PLUG comes with multiple AC adapters and supports 110v to 250v, it’s the perfect travel companion. At the time of writing, the PLUG has over 40 backers and has raised $2863 of their $75,000 goal. Pledges start at $67 and will entitle you to silver or black PLUG by the expected shipping date of March 2014. You can back the PLUG at their Kickstarter campaign page here.